There is nothing quite like the rush that comes with leaping from the skies. 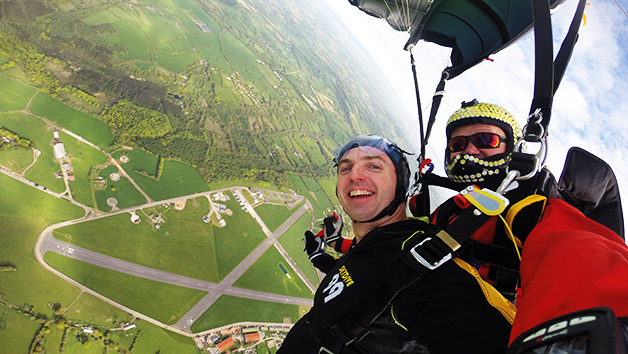 After some useful safety and landing tips form a professional instructor, it is time to climb aboard a plane and head skywards.Dare to take a 10,000 foot plunge to the earth while strapped to a professional. Embrace the fear and excitement while experiencing the thrill of the jump. There will be around 30 seconds of free fall before the instructor takes control and opens the parachute. Admire stunning scenic views as you float back to earth. This experience is available week round, however availability varies by location. Please check upon booking. Minimum age is 16. Under 18's require a signed letter of consent from a parent or guardian. Maximum weight limits vary between venues from 14 1/2 stone and 15 stone. 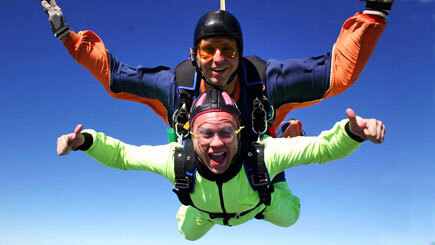 All jumpers are required to complete a health and safety form to confirm they are fit and able to jump. Dress warmly and comfortably, wear trainers NO hard boots, and bring a sweater as it can get cold on the airfield. A jump suit and all other equipment will be provided. Customers will currently need to pay a compulsory BPA membership fee of approximately £25 on the day of their experience.